There's nothing better than finding a hidden gem is there? 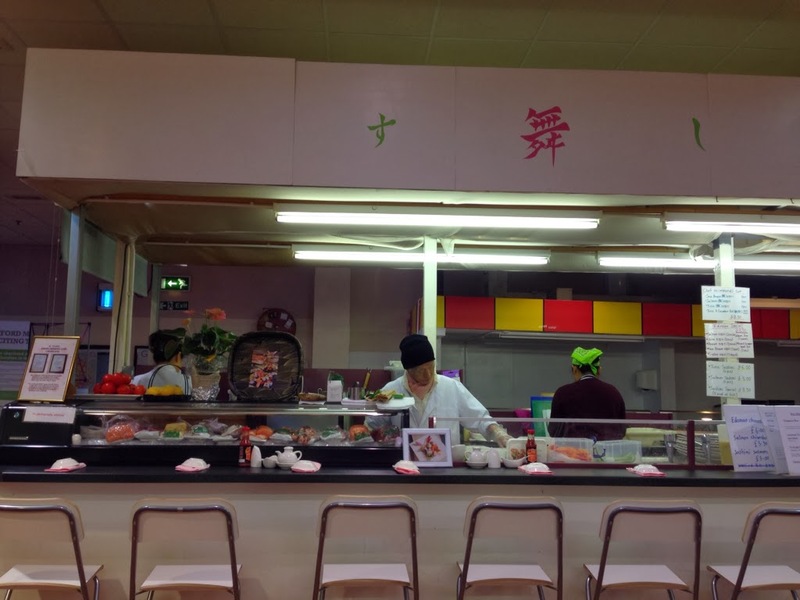 Hidden inside the slightly downtrodden Watford Market is one of the best little sushi places I've ever eaten at. Sparklingly fresh seafood, expertly prepared and served at knockout prices - there's a lot to like about Sushi-no-mai. 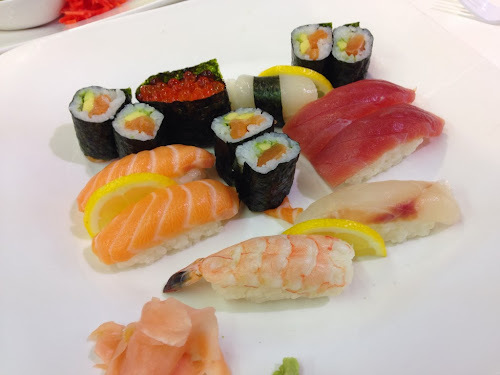 The sushi is prepared by Chef M Shimo, a previous employee of Harrod's lavish sushi bar, who decided to set up on his own. He's a classically trained sushi chef, with qualifications recognised by Sanchokai the Japan Sushi Association, meaning there's a genuine authenticity that shines through in the food. The quality of the fish is fantastic and some of the dishes are serious bargains, particularly the Edomae Set, which includes six tuna rolls, two salmon nigiri, two tuna nigiri, one sea bream nigiri, one eel nigiri, one cooked prawn nigiri and one cod roe roll, served with pickled ginger, wasabi, and a beautifully dressed side salad. All for a truly astounding £8. Everything was excellent on the Edomae set, but the sea bream nigiri and cod roe roll were particularly memorable, with the bright orange cod eggs (essentially caviar) providing little bursts of salty flavour that makes the roll extremely moreish. 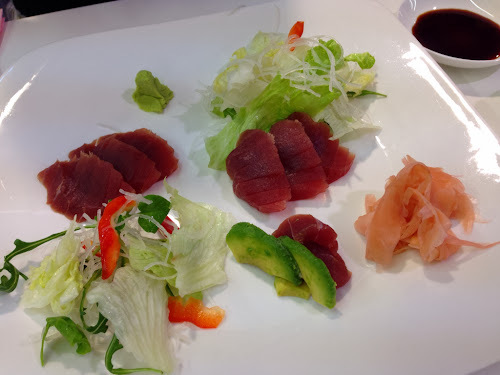 A plate of tuna sashimi was simplicity itself, with the beautifully tender, expertly sliced tuna having that icy cleaness and mild flavour of cold clean water that is the mark of really fresh fish. Delicious, and another bargain at £6 for eight chunky pieces. The tempura don was a light and greaseless collection of deep fried prawns, white fish, salmon and various bits of veg served on a bed of sesame seed topped sushi rice. 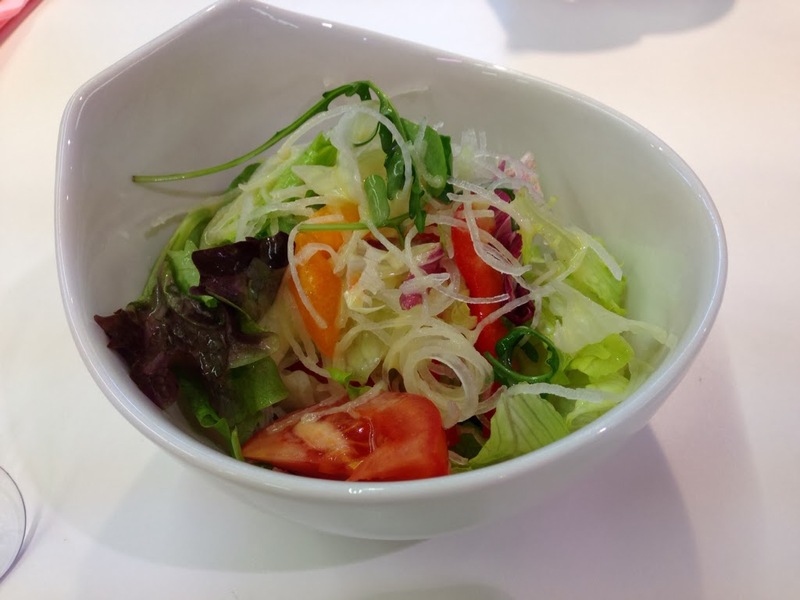 It would make a satisfying main meal in itself but at £5 is worth ordering as a crispy counterpoint to a sushi main. I also spied the table next to me ordering the teriyaki pork, which looked excellent. All sticky sweet pork and salty sauce, which I'll definitely be ordering on my next visit. 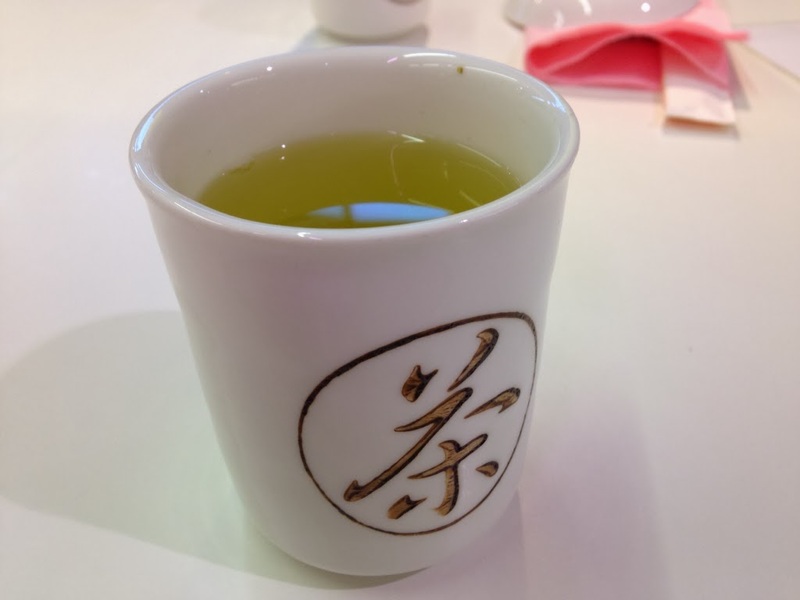 We washed everything down with some refreshing green tea, a perfectly mild accompaniment to the delicate flavours of the sushi. I left absolutely stuffed and completely blown away. 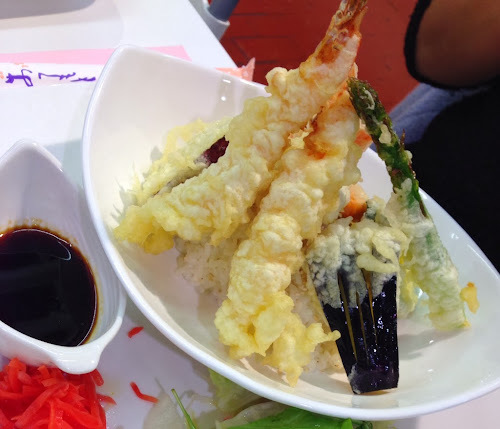 Thanks for your comment on my post about Grandpa's Sushi, am really pleased my post was useful. By the way, I'm not 100% sure in my comment that Chef Shimo worked at Harrods, so may be best to edit that to make it less of a statement of fact? Which looked excellent. Thanks you!